Thanks Heather, I needed that today. 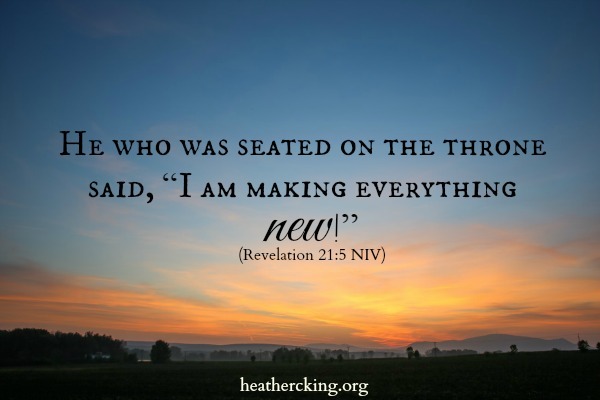 It’s a reminder from God to me that He does everything new… He renews despite the circumstances!! 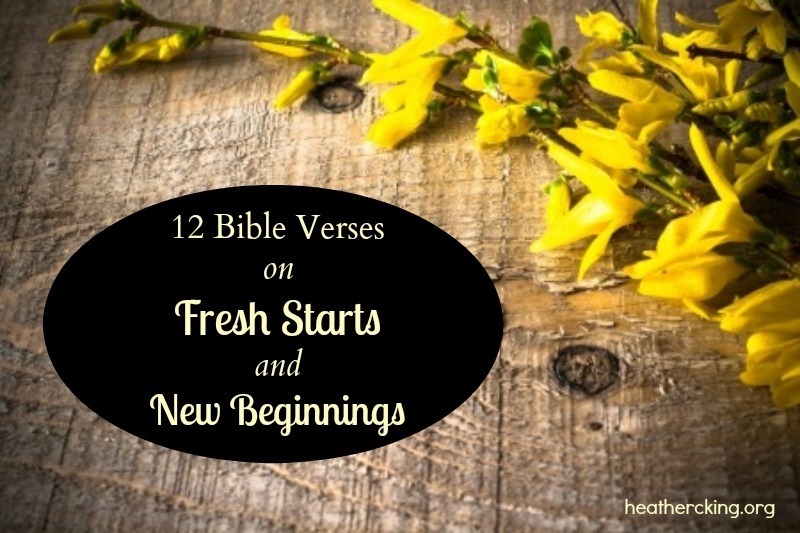 I’m so thankful that He is always refreshing us and making us new! Thank you so much Sister Heather for giving of yourself and time to put these verses together as God gave them to you. Today they are a blessing to my soul and life to my flesh. I’m truly praying for the favor of God to multiply in you and your families lives because of your selflessness. A whole year later and still God is using your labor to bless another day. Amazing!! It blessed me so much this morning to log on and see this message and your prayer for me. Thank you! God is so kind to draw us together in Christian community to be that encouragement for each other! What a beautiful beginning you have before you! Thank you for sharing that. Today I am praying for your congregation and the new minister God is bringing for you. So blessed today with this verses they were confirmation of His words for this day,this month and for the year. My prayer is that may we be so keen enough that when God makes or brings a new move in our lives, we will be able to catch the wave and flow with Him. What a blessing it is to have found your site. Thank you for your diligence in putting these verse and prayers together. I was blessed with your new year prayer today and have shared it with many. I shall return her many times in the future. May God richly bless you for spreading the good news and message of hope. I’m so glad you found this page. Praise God!